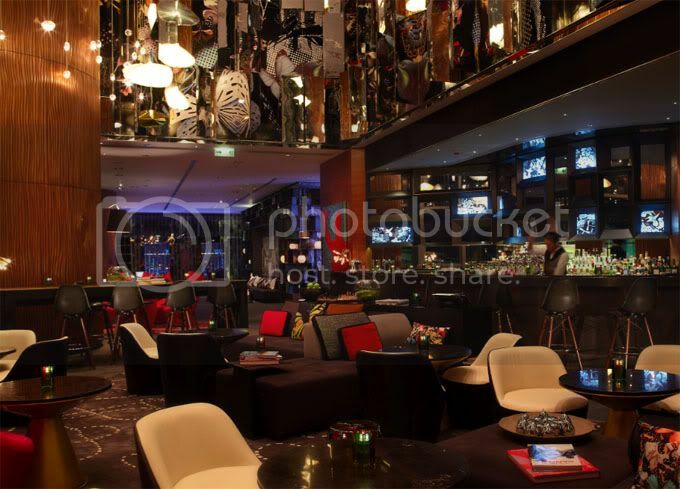 Thanks to the jet-set generation, demand for boutique hotels is increasing around the world. The first boutique "chain," W, started the trend for a network of branded urbane-style properties and has just launched its latest edition - W Hong Kong. 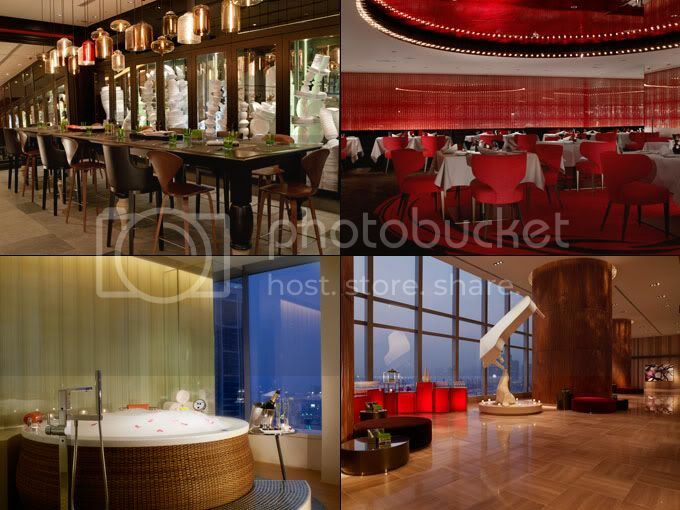 Click "Read More" to vicariously live the high life in W Hotel. 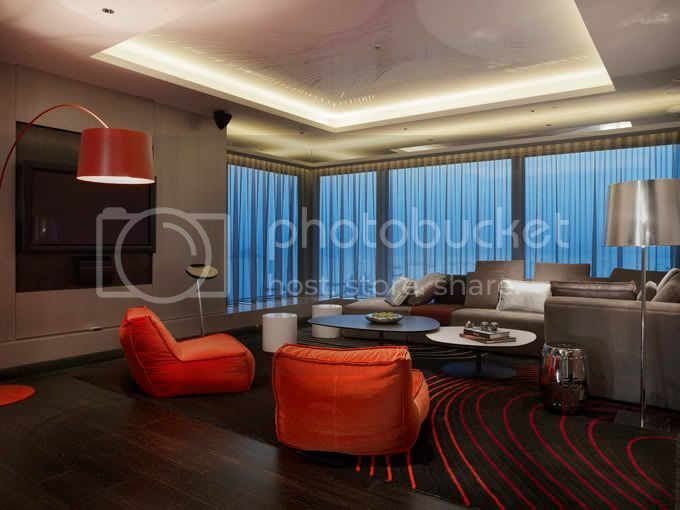 Located in West Kowloon, the hub of the buzzing financial district of Hong Kong, the new W brings a large dose of New York style to this cosmopolitan Asian business capital. The area is right on the commercial waterfront, so instead of luxury yachts you are more likely to look out onto imposingly large freight and cargo ships. 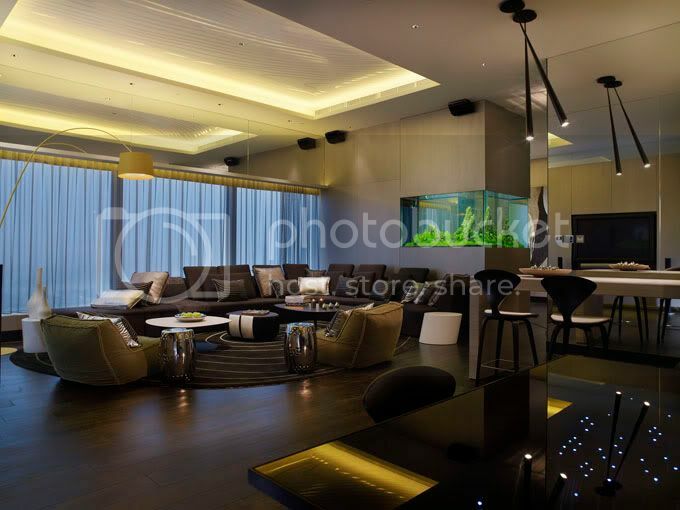 It works though, juxtaposing the designer, luxury environment with the gritty, functional realism of the hotel's location. 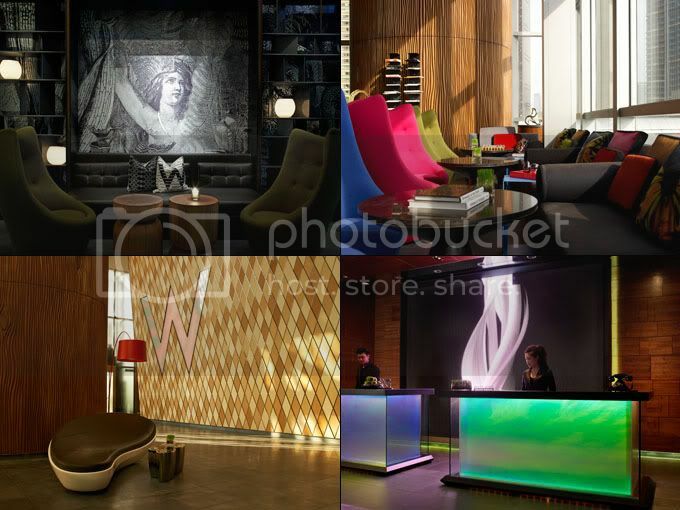 Overall the hotel's design is pitch-perfect for the W brand – New-York- style interiors with the W signature quirk in the form of butterflies (butterfly motifs everywhere, we loved it) and surprising contemporary art works such as a fiberglass seal holding up a grand piano (yes, a seal holding up a grand piano, it's for real and a feat of creativity and engineering). 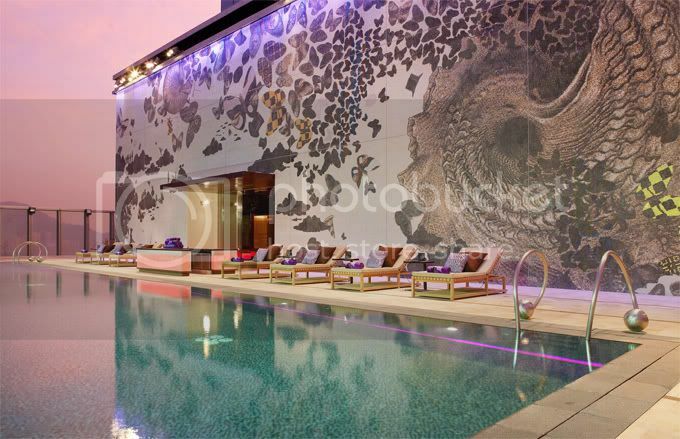 Other standouts include the spectacular rooftop pool, featuring an incredible mega-scale mosaic of a butterfly graphic created by Australian designer Fabio Ongarato. The pool looks out over the whole island - one of the most breathtaking in the city. The rooms, designed by Australian interior desiger, Nicholas Graham and Japanese designer, Yasumichi Morita, are comfortable and welcoming. Each designer was assigned a specific floor to design, so each floor has its own personality, countering the cookie-cutter feel of most large hotels.